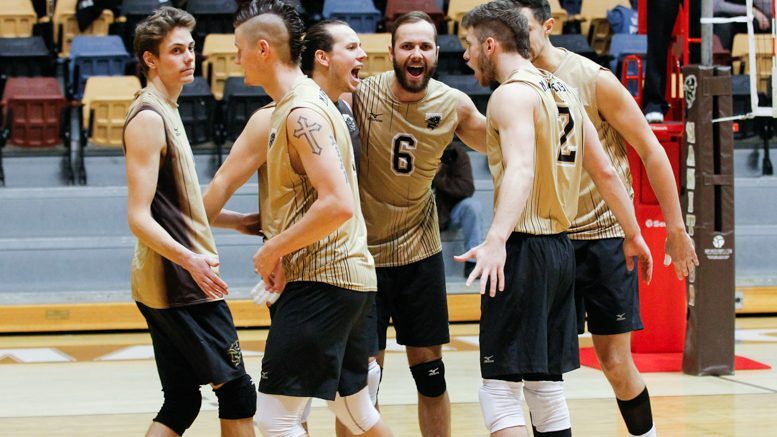 The University of Manitoba men’s volleyball program will host the Canada West final four for the first time since 2004. The Bisons will be the highest seed in the tournament and will play the Alberta Golden Bears in the first semi-final. The Manitoban takes a look at the three teams invading the Investors Group Athletic Centre during March 10-11. Key players and strengths: Ryan Schlater is one of the biggest hitters in the conference, and is second in Canada West kills and kills per set. The Spartans do not make many attacking errors, with Schlater ranked fourth in conference hitting at .308 per cent; teammate Blake Scheerhorn is third in hitting percentage at .318. The two powerful hitters punished the host Bisons team during their regular season matchups, and were major contributors to that weekend sweep. Spartans setter Adam Schriemer is also a key piece to the club and he finished second in the conference with 10.28 assists per set, which is a sliver more than Manitoba setter Luke Herr’s 9.88 per set. With all the attackers in the Spartans lineup, they finished first in Canada West hitting percentage. Trinity Western also finished at the top of the conference in service aces, with outside Eric Loeppky leading the conference with 0.55 aces per set. Weakness: The Spartans finished in the top half of the league in most categories, but came in 12th in conference digs. To beat a top tier team like Trinity Western, the opposing attackers must have a good game and take advantage of the team’s inability to come up with digs. Opposing attackers should be able to find some space and success, as the Spartans are eighth in conference blocks. Key players: Alberta’s Taylor Arnett is the Canada West leader in hitting percentage at .377, and the team ranks third in the conference in that category. They also court one of Canada West’s top killers as well, with Ryan Nickifor finishing fourth in kills with 335, and fifth in kills per set with 3.94. The attacking is never possible without great assists, and Brett Walsh leads the conference with 10.48 assists per set. As a team, the Golden Bears defend well and rank second in Canada West blocks. They also rank third in service aces, so serving mistakes are rare for this team and could be the difference in a set. Weakness: Like Trinity Western, Alberta has some trouble coming up with digs. To beat Alberta, you will need to out-hit them, and hope they are unable to come up with the digs when they need them. If attacks are successfully applied towards the Golden Bears, then that is the best chance an opposing team has to defeat them. Key players: UBC has what their opponents lack, and that is the ability to come up with digs. The Thunderbirds rank fifth in the conference in digs, and have Tyson Smith and Byron Keturakis who rank in the top 10 in number of digs. Thunderbirds setter Keturakis also ranks fourth in service aces per set with 0.43, and ranks fifth with 9.46 assists per set. As a team, UBC ranks first in conference assists, first in kills, second in service aces, and play well defensively finishing third in Canada West blocks. The T-birds have the most rounded defense, coming behind just Alberta in team blocks. Weakness: The Thunderbirds have the worst hitting percentage of the four remaining teams, with a .241 per cent that was good enough to rank fifth in the conference. This is a weakness for them because the other three teams in the final four finished as the top three teams in hitting percentage. 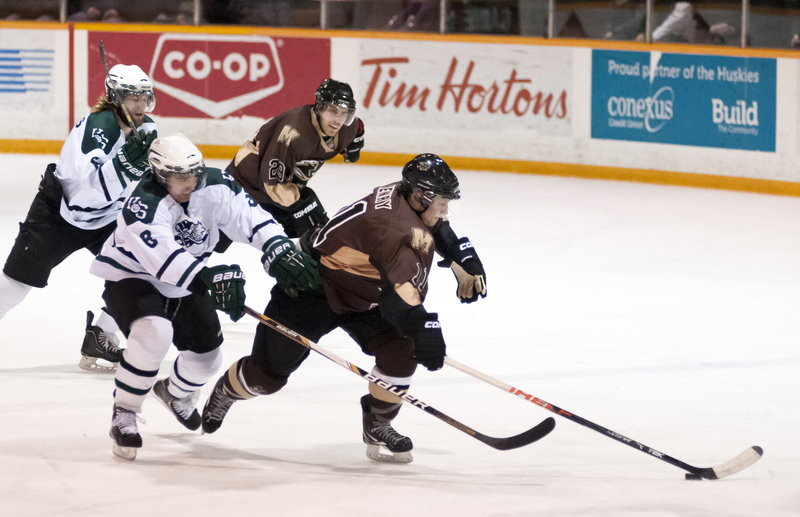 The Bisons play their first match against the UBC Thunderbirds on March 10 at 6:30 p.m. at the Investors Group Athletic Centre.